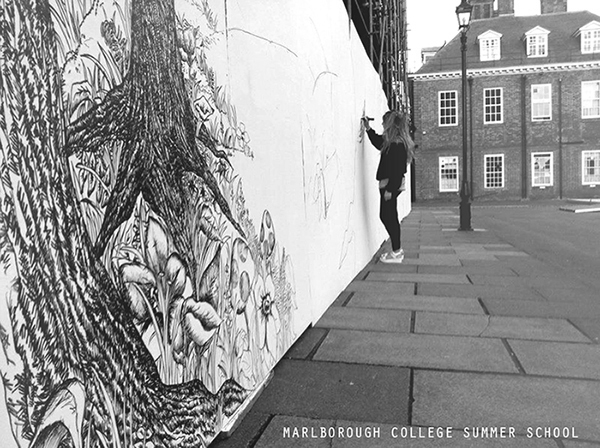 I've started a 3 big murals at marlborough college, for Marlborough college summer school. 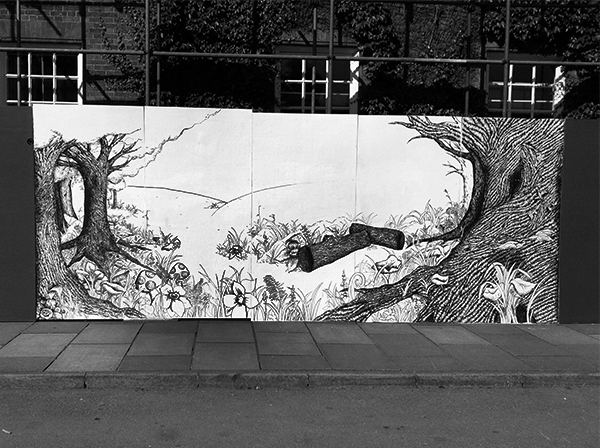 Started on Tuesday and aiming to be finished by the end of Friday so fingers crossed. The idea is for the young children of summer school to colour in the plants, animals and flowers during summer school with greens and reds.. one mural each week. Look forward to seeing what they do to it and finally having them all done in a row. 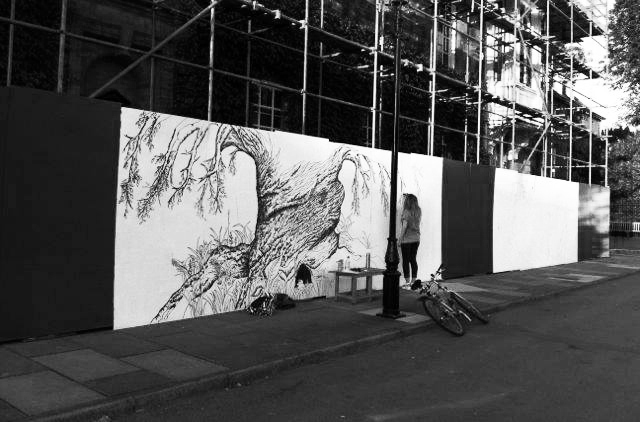 Going to be adding my own drawing on the end of a stag aswell if i get it all done in time. :).